Come along and celebrate the launch night of Arts Fest South Taranaki. 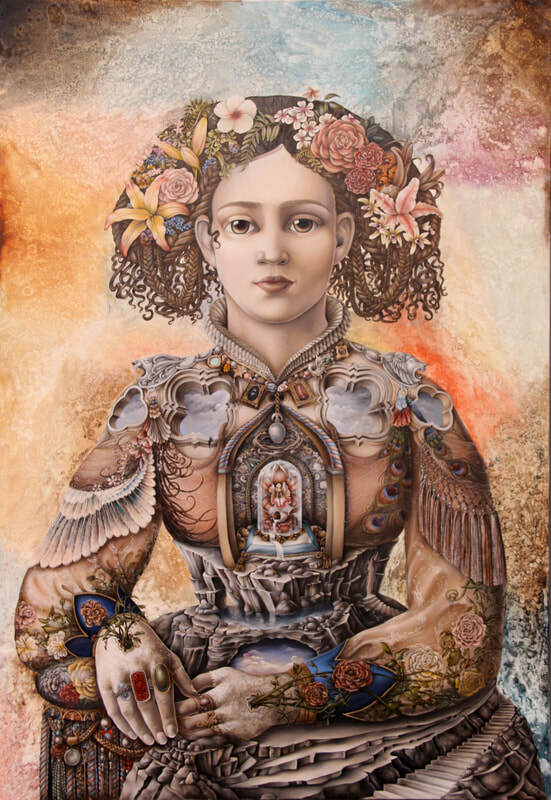 Over 300 artworks are displayed with $12,000 in prizes over seven sections to be won. Hear the judges announce the winners at 8.00pm. Local musicians, stilt performers, drinks and a light supper will keep you entertained while viewing the diverse artworks. South Taranaki, 10.00am - 4.00pm daily. 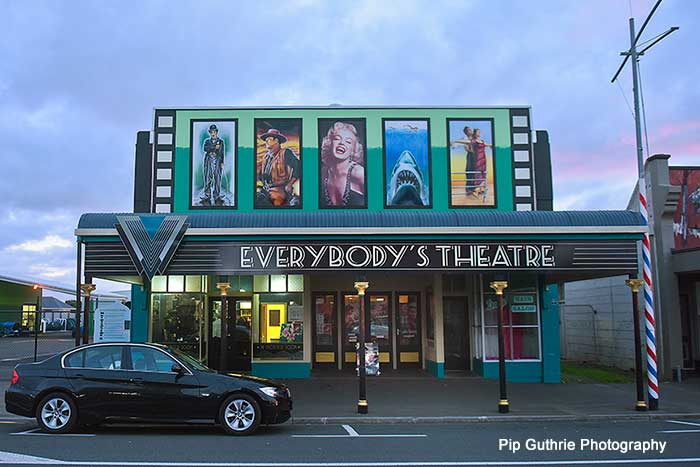 Join us for the second Everybody's Theatre NZ Film Festival. Showcasing classic NZ films and documentaries over nine days in Opunake's community run, restored historic movie theatre. Pre-ordered cheese platters, tea & coffee available. Presented by the Powerco Garden Spectacular, Ed Pool brings together multi-instrumentalist Andre 'Sonic Delusion' Manella on beats, synth, guitar and loops and Urs Signer on space-clarinet and keys. The Swiss-born Aotearoa-dwelling duo brings live electronica to the dance floor – we call it techno-jazz! Expect wild solos, groovy beats and a funky good time. The party will be held in the garden surrounding the elegant villa, but will transfer to the property’s vintage shed if the rain comes down. The Opunake community are going wild with wool! Everything from fences, trees, street poles, seats and statues are getting 'bombed' with knitting, crochet, pompoms and everything in between! Enjoy the vibrant and colourful installations throughout this creative coastal town for the duration of Arts Fest South Taranaki. From bush clearings to a palisaded earth structure, Māori lived and gardened at Puketarata or its adjacent kainga (village) Keteonetea for four or five hundred years. Sometime around the 15th or 16th centuries, the age of pa building began and Puketarata pa is one of a number in the valley. Puketarata garden lies just inside an outer pa rampart, on a warm, north-facing, free-draining slope. Enjoy the garden, a walk along the pa site and a conversation about Puketarata’s place in history with owner and amateur historian Ken Horner. An awesome double-bill of two popular Taranaki bands hits Hāwera's coolest theatre. Selah Saints formed in 2016 in South Taranaki as an originals band and were the 2017 National finalists at Battle of the Bands, taking out 1st prize for 'most passionate'. A fusion of rock, funk, R&B and reggae to bring you conscious music with an Aotearoa twist. The Slacks are the 'proactivecrastinators' of popular music, delivering shimmering, subversive singalongs in their inimitable rockabilly-blues-kiwi-celtic-country-ska-boogie-woogie-swing style. Recent releases include the bilingual Big Aroha, the kiwi vernacular-spouting Yeah Nah and their latest release about a boozy weekend party, Friday Night. Ire Exit is a 5 piece band performing original psychedelic/reggae songs with strong environmental and social change roots. Formed in 2006 and based in Taranaki, the Ire Exit sound evokes emotion while providing encouragement in the harsh environment of the world today. Hard work and continual development of sound has resulted in an edgy, energetic fusion of up tempo dub reggae and psychedelic rock, oozing dance appeal and stimulating the senses. This popular market features around 50 stalls of handcrafted wares and homegrown produce, set amongst the courtyard and picturesque gardens. Also coffee, pizza, buskers and other food stalls. Come and enjoy a cruisy day with live music by folk trio Gypsy Blue and other local musicians. Bring along a picnic - coffee cart available. Check out the onsite art gallery and take part in an interactive weaving installation in the trees using natural fibres. Come along to Openlands for a craft themed market day. The market will feature small local businesses and handmade crafts. All proceeds to go to the Awatuna & Districts Playcentre. Contact 027 406 1667 to book a stall. The Great Taranaki Steam Band performs at award winning King Edward Park for the first time. The 40-strong community ensemble will present a concert of varied styles, from uplifting to laid back, featuring jazz arrangements of much-loved tunes. Running for 16 years, The Great Taranaki Steam Band still has original members, continuing their passion for playing. Currently under the baton of musical director Christopher Luke, this free afternoon performance invites picnics and promises to deliver great live entertainment. Hawera born comedian Ben Hurley returns to MC an evening of hilarity - featuring popular NZ comedians Jeremy Corbett and Sera Devcich. Book a table with a group of mates for a rollicking good night! Dave Ritchie Smith is a Scottish singer-songwriter who has made Taranaki his home since 2002. Since his arrival, he has been an active member of the New Plymouth music scene, with his catchy heartfelt songs with a Celtic foundation. Andy Bassett observes the world around him from a different angle, his songs putting a new twist on everyday things - love, war, greed, national identity, confusion, happiness, and even music itself. Both Smith and Bassett have had very successful album launches this year. Joined by The Affordables, they will get your feet tapping and your heart singing. A fundraising event for Kai Kitchen in Hawera. Have a wild, fun night out at The Rocky Horror Picture Show with shadow cast performers. Dress up as your favourite iconic character and join the fun! Kai Kitchen work hard in Hāwera to alleviate poverty through kai and kindness, providing free food to children at local schools as well as helping to source school uniforms and stationary. 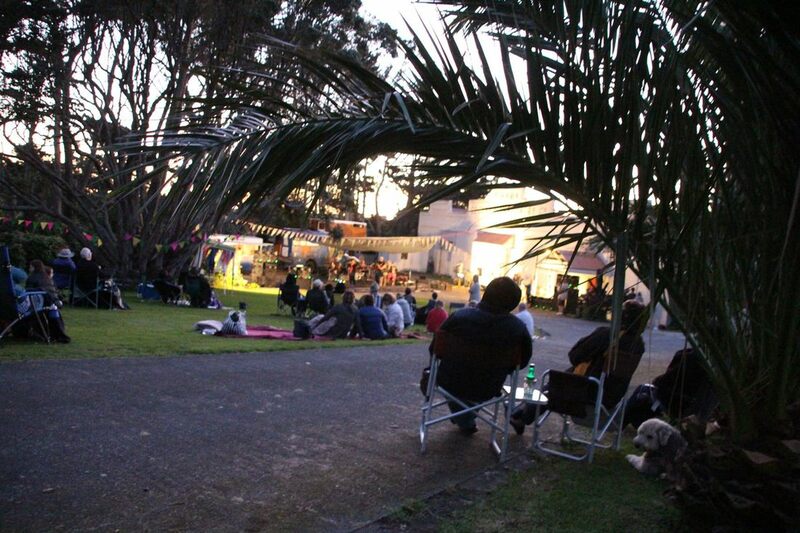 Kick off your festival with a Saturday afternoon of wine-tasting at Opunake garden KenKora. Try a whole menu of multi-award-winning Esk Valley wine, while relaxing in a lovely garden starring ancient pohutukawa, roses, lush plantings and a 107-year-old villa. The Hawke’s Bay winery will be offering tastings of rosè, sauvignon blanc, chardonnay, pinot gris, pinot noir and syrah. There will also be discounted wine for sale. As part of this relaxing afternoon, KenKora owners Michael and Kerry will serve cheese platters to match the wine.